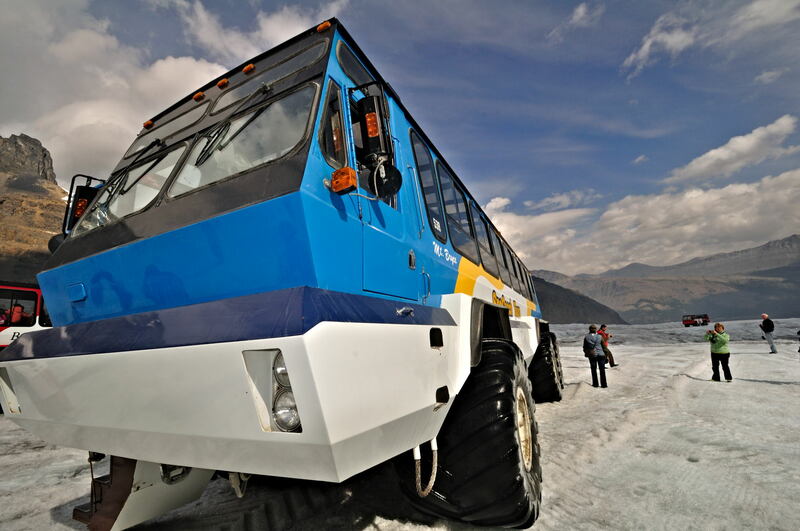 This monster truck is sitting on the Columbia Icefields. We took a tour of the icefield while visiting Banff and Jasper National Parks in Canada. Shot with Nikon D90 and Nikon 10-24mm lens. Boosted tonal contrast for extra punch to the image.